Last Friday I went for drinks at a friend’s house with my parents, it was a normal affair up until the point that our host brought out some 6 ½ week old puppies. I am what people might describe as a “soft touch” and have a complete weakness for all animals. So when I was asked whether I would like to have one of the puppies I melted and it was a no-brainer! The Old Man is of the opinion that the drinks were arranged as a great trap and believes that we were effectively sandbagged into taking the puppy (please note as I write this the puppy is sound asleep curled up in the Old Man’s arms as he takes his daily afternoon nap). I have decided to name her Hetti, which apparently means – home leader/lord of the manor. This is probably quite a fitting name as it is very likely that she will dominate Shadow (Belgian Shepherd) and Biggles (Springer Spaniel) despite the fact that she a Teckel (aka Dachshund) and positively diminutive compared to the boys! 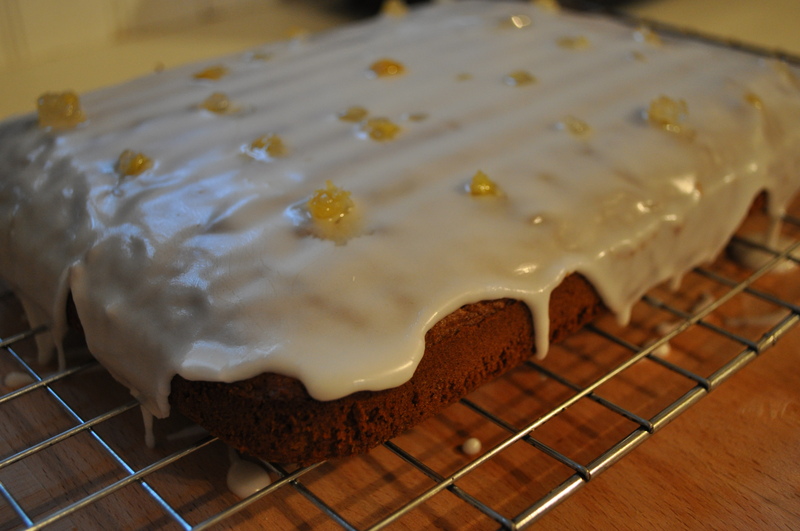 The recipe for the ginger slab cake is very straightforward to make as it uses the ‘all in one’ principle. Consequently this cake can be made in no time at all and is very light and moist. 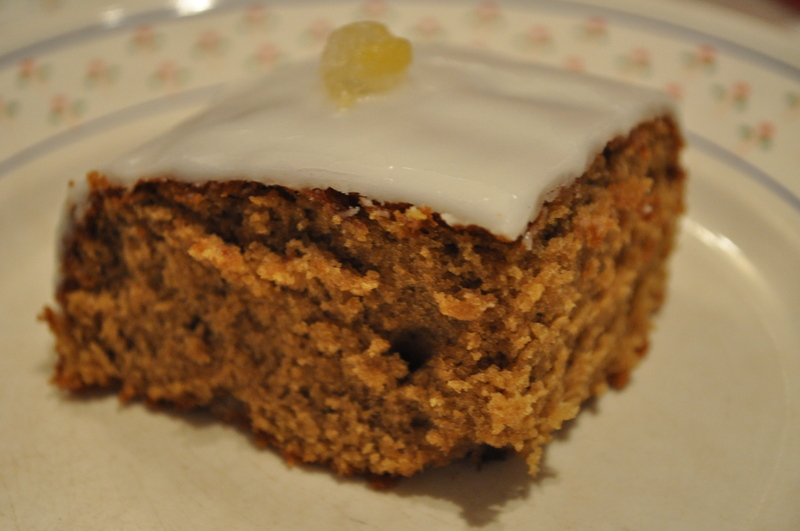 The stem ginger enhances the ginger flavour so if you prefer a milder flavour then don’t add it to the cake batter. This cake keeps nicely in an air-tight tin or wrapped up in foil. 1. Preheat oven to 170C fan. Grease and line the bottom of a cake tin (15cm x 25cm). 2. Place all the ingredients for the cake in a bowl and beat to together for 2-3 minutes. 3. Spoon the batter into the cake tin and carefully level out. Place in the oven and bake for 20-22 minutes or until a skewer comes out of the cake clean. 4. Place the cake onto a rack and leave to cool. 5. Whilst the cake is cooling prepare the icing by placing the water/syrup in a bowl and gradually in the icing sugar stirring all the time so that you get a smooth slightly runny icing (add more water/syrup if needed). 6. 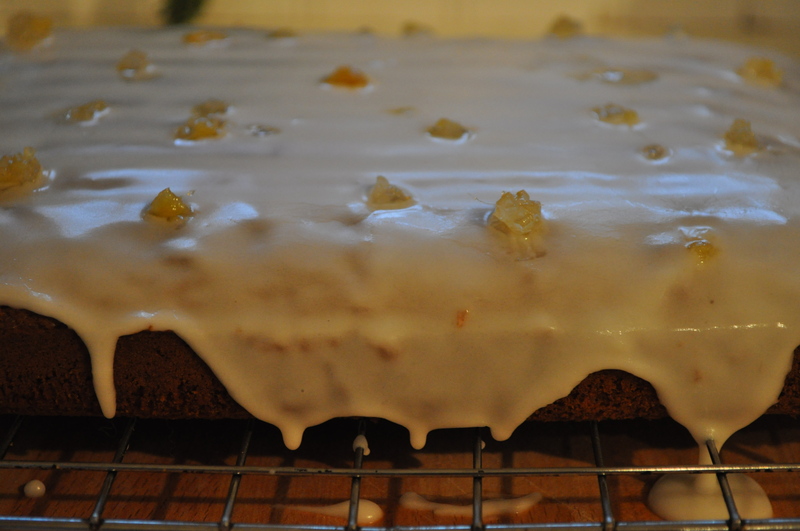 Once the cake is cool pour over the icing and scatter over some crystallised ginger pieces. Serve with a cup of tea/coffee. 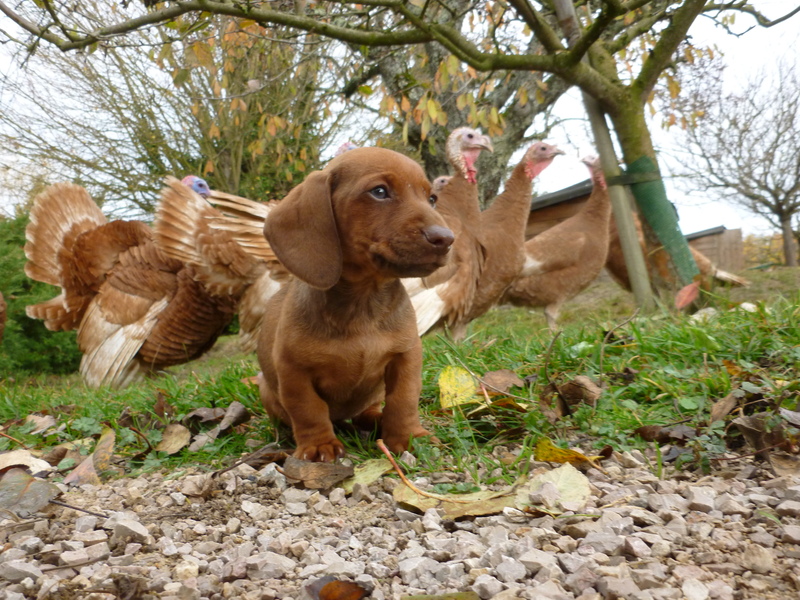 This entry was posted in baking, cake, quick & easy, recipes, tea time and tagged baking, cake, ginger, instayum, puppy, recipes, sausagedog on November 23, 2012 by Antonia Cooks.